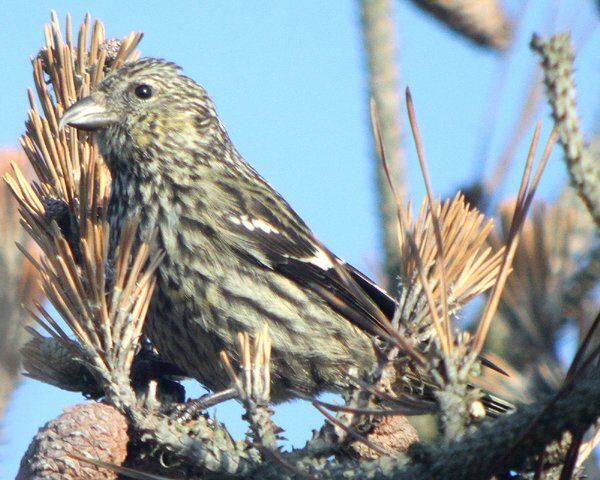 Even though this winter has been amazing for irrupting finches it is still not every day that a New Yorker gets to see White-winged Crossbills. 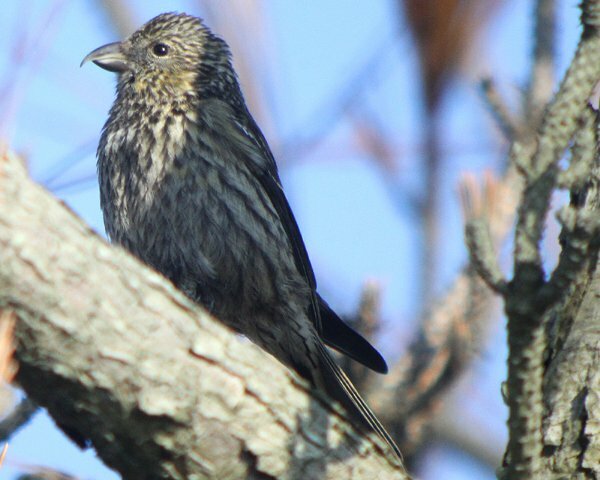 And I had never, before a run out to Montauk on the far eastern end of Long Island, seen a juvenile crossbill. But this young female and an adult male were more than willing to hang out and try to get into some pine cones while we (being me, Isaac Grant, and Gene Herskovics) watched and digiscoped. 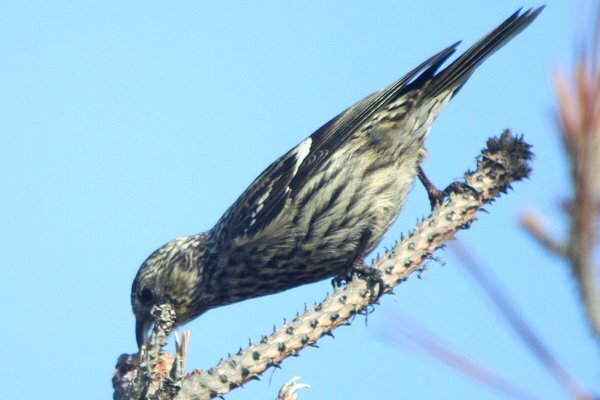 Note that you can just make out a hint of the yellow that indicates not only that this is a female bird, but that she is on the cusp of adulthood. Which raised the question that we were unable to answer – was the male feeding her because he is her father or because he is courting her? 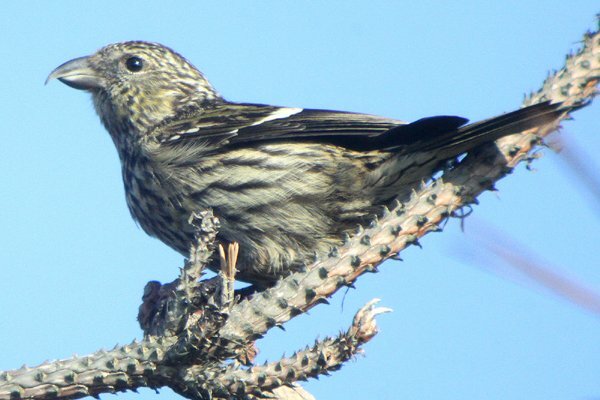 Though we were unable to resolve that mystery it didn’t really matter, as we had crossbills in front of us to watch, a wonderful experience in a stand of pines next to a grocery store. 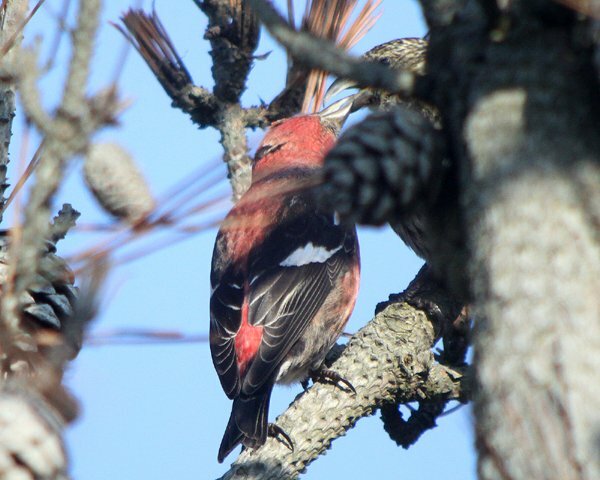 @Jochen: Wait until you see some of the crossbill shots I have gotten since then. You are going to be in serious pain. Awesome! 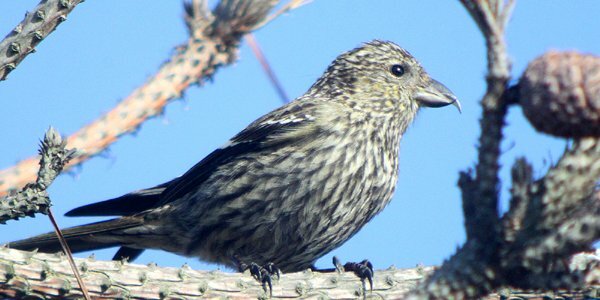 I’ll be visiting Long Island for Thanksgiving and would absolutely love to see some crossbills. I’ll be traveling from the Islip area, so I could head west to Jones Beach or east to Montauk. Is one better (more reliable) than the other? 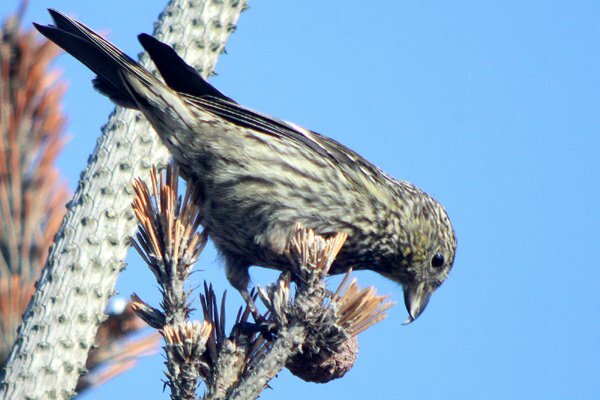 @Judd: Either seems pretty reliable but from Islip your best bet would probably be Hecksher State Park, where both species have been spotted as well. Pinch Me… I’m Going to Ecuador!